401(k) balances reached a record high last year, thanks to a soaring stock market and larger contributions from workers participating in the savings plans. 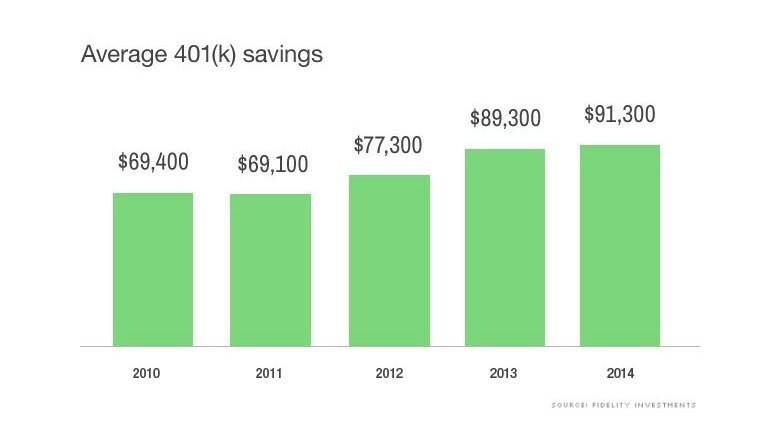 At Fidelity, the average 401(k) balance hit $91,300 by the end of 2014. While that's up just 2% from 2013, it's a jump of more than 30% from 2011's average balance of $69,100, Fidelity reported. The increase was due in part to the stock market, which saw the S&P 500 climb by more than 10%-- its third year of double-digit gains. But a spike in worker contributions also played a significant role. Workers and their employers contributed an average of $9,670 in 2014, up 4% from the year before. "The 401(k) is the sole source [of retirement savings] for many," said Fidelity vice president Jeanne Thompson. 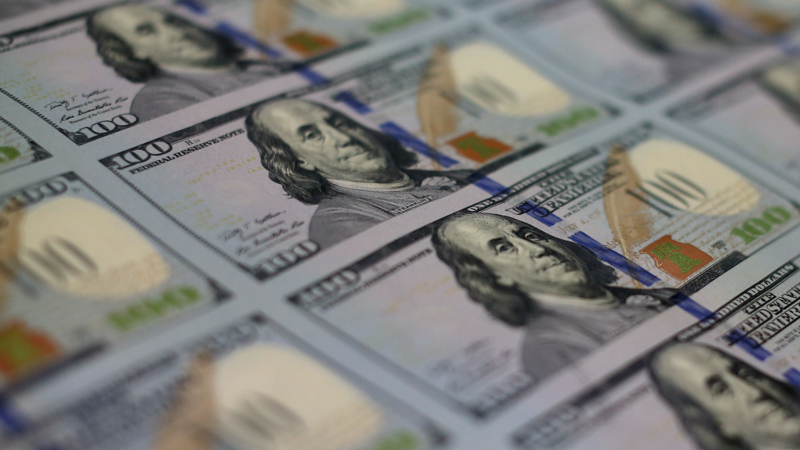 "I think there is heightened awareness of the importance of putting money into the 401(k)." On average, employees socked away 8.1% of their salary, the highest savings rate recorded by Fidelity since 2011. Including an employer match, workers saved around 12% of their salary, which falls within the 10% to 15% recommended by financial planners. Thompson credited the increasing savings rate to a growing number of employers who are automatically enrolling workers into their 401(k) plans at a contribution rate of 5% or more. Consistent savers are doing especially well. Savers in their 401(k) plan for 10 years or more had an average balance of $248,000 -- an increase of 11% from what similar savers had a year ago. The bad news: most people will need far more than that for a comfortable retirement. The common 4% rule for example, dictates that $250,000 would provide only $10,000 a year in retirement income. Of course, 401(k) balances are just a snapshot of the retirement savings landscape since savers often have multiple investments and accounts like Individual Retirement Accounts (IRAs) and annuities. Fidelity, for example, found IRA holders had an average balance of $92,200 in 2014. With the stock market starting out on rocky footing this year, Fidelity urged savers to ignore the market turmoil and instead to focus on long-term savings goals. "The typical American worker will see markets go up and down many times during their career," Jim MacDonald, president of workplace investing at Fidelity, said in a statement. "Commitment to a long-term savings and investing strategy will put individuals in the best position."